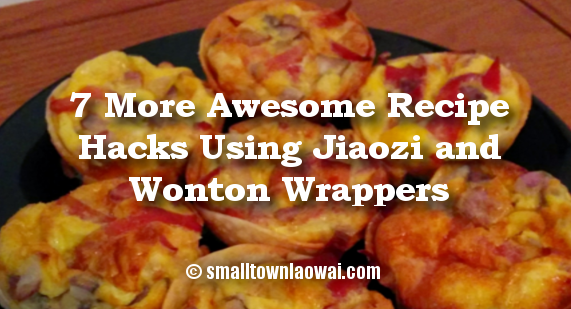 My original post on using jiaozi wrappers to make life easier got an enthusiastic response, including creative ideas from you, friends. There’s so many great ways to use these wonder circles of dough. It seemed like a good idea to write up another batch of suggestions, so here they are: 7 more recipe hacks! This time, I’m also including some ideas that use wonton wrappers. What’s the difference? Besides the obvious fact that they’re square instead of round, wonton wrappers are thinner than jiaozi wrappers, meaning you’ll get a slightly different result using them. For example, they’ll bake up light and crisp as chips, rather than the crisp/chewy combo that jiaozi wrappers yield. As with many of the ideas in the first post, these make fantastic appetizers and party food. And, this is the time of the year when you’re most likely to be asked to bring one of those things to a friend’s house. Line greased/oiled muffin cups with jiaozi wrappers, as in Mini Pot Pies, but we won’t use a top crust. Pour in your favorite quiche filling and bake for about 20 minutes at 180C or so. I’m not so good at consistently using the same temperature and bake times. I go with my gut, and keep an eye on the oven. And that, friends, is why I would fail so hard at writing a cookbook. Obviously, there’s a multitude of options for quiche filling. One that we like which only uses locally available ingredients is bacon, sauteed onion, and chopped green onion. Sadly, no cheese. But look how golden and crispy the bottoms are. Yum. Bake pita chips and top with something fantastic. Refried beans with pico de gallo. 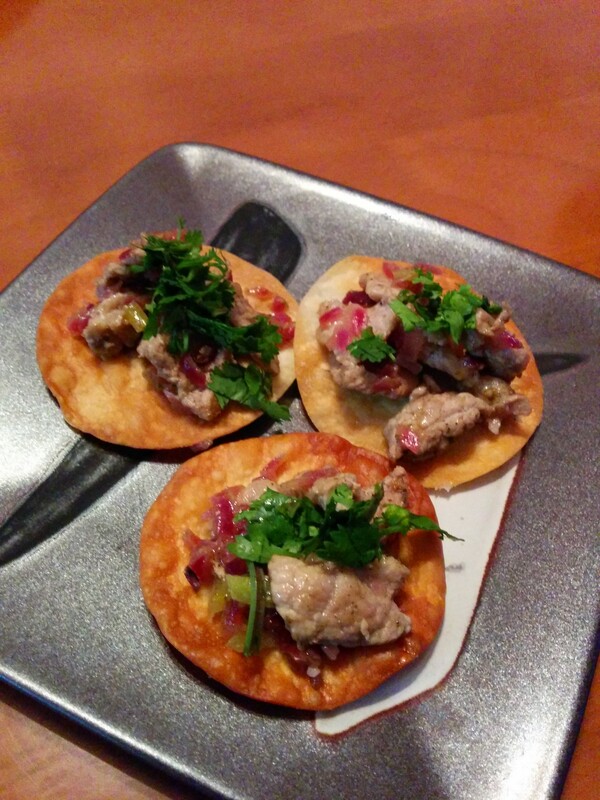 Or carnitas with chopped red onion, cilantro, and salsa. Or gringo taco style with ground beef, shredded lettuce, and chopped tomatoes. I made these for a party once upon a time, before my mini muffin pans died from rust. Push wonton wrappers down into greased mini muffin tins. The corners should stick out (maybe they’ll stick up, maybe they’ll lay down on the pan, either way is fine.) Bake at around 200C for about 10 minutes, but watch them carefully. When they get golden brown, they’re ready. Let them cool, and you’ve got some cute little origami-ish shells you could fill with just about anything. Really – these could be sweet or savory, so let that imagination go wild. If your imagination is tired, let me suggest chicken salad. Another commenter, “T,” suggested stuffing jiaozi wrappers with chopped pistachios, walnuts and raisins for a baklava-esque dessert. Dang, that sounds good. But that idea made me realize I could probably try for more of a classic pan of baklava. I read a few baklava recipes online, then adapted. I used my bread loaf pan, and brushed layers of wonton wrappers with melted butter. I ended up using a mixture of chopped walnuts and almonds for the filling since we had far fewer walnuts than I thought, and I was too impatient to wait. Improvisation is the name of the game. From what I read online, lemon juice is traditionally used in the syrup in Greece, though it’s not often added in American baklava. I had lemons, so Greek style it was. It turned out pretty rockin’. Anyway, we’re stuck with this chewier, crunchier incarnation, but man, is it good. You know what else tastes way better made by your Yia-Yia with real phyllo dough? Spanikopita! But again, we’ll need to stick with our wonton wrapper version here. You can layer it like the baklava, but I think this is best as little baked triangles. I blame it on being an American. We just really like cute little appetizers and finger food. “T” also suggested twisting up chocolate and banana inside a jiaozi wrapper, brushing with an egg wash, baking, then sprinkling with powdered sugar. We tried just that, though we sprinkled with cocoa powder instead. Cute little parcels, aren’t they? They were good, though I think next time we’ll experiment with the filling. Chocolate and peanut butter sound intriguing at the moment. So very many possibilities! 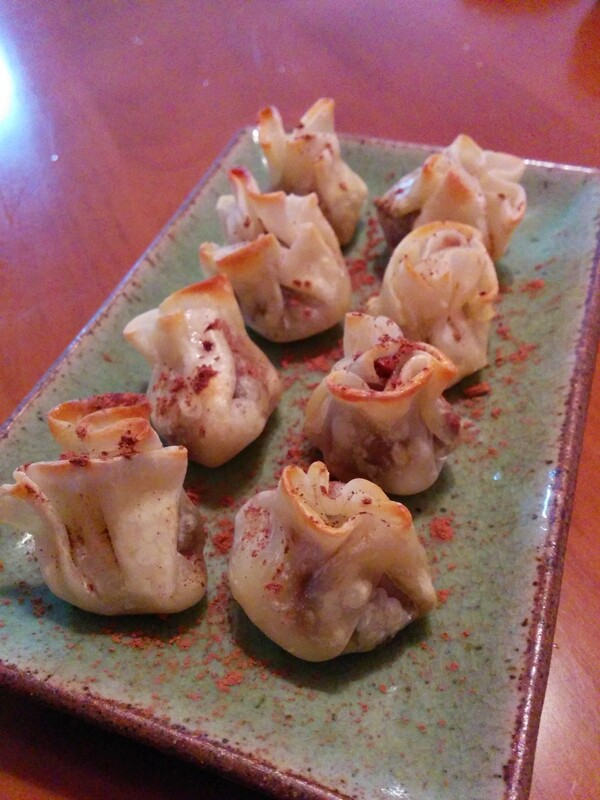 Please share other suggestions for using wonton and jiaozi wrappers. We’re all happy to try out something new! Let us know how they turn out, Anne! I’m looking at this again and loving it. And just google “lasagna cupcakes” and it’s an even better way to use them for lasagna because they are already just the right size for a muffin tin! And I’ve just met a real Italian here in Sanya and she has taught me all about lasagna with bechamel instead of ricotta, which makes lasagna much more of a possibility where I have trouble getting any kind of cheese, let alone ricotta or cottage cheese, and it sounds more delicious! 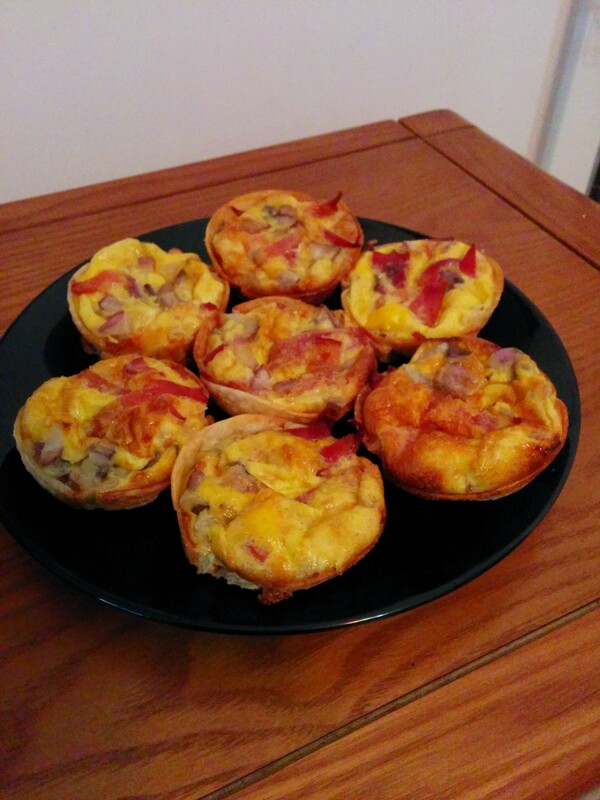 The bechamel version sounds scrumptious, and the muffin tin is a great idea. I’m going to have to try that. Please say grazie to your friend, and thank YOU, April, for sharing this tip!